An impeccably styled fur-trimmed scarf, or an eye-catching fur embellished coat have only been one half of what is a rising phenomenon – fur décor. Fur interiors are beginning to steal the show, and pillows, blankets, rugs, and chairs are all big hits on the ‘décor runway.’ And with winter around the corner, what better way to get into the festive spirit than by turning your house into a warm and snug haven…with the help of fur. 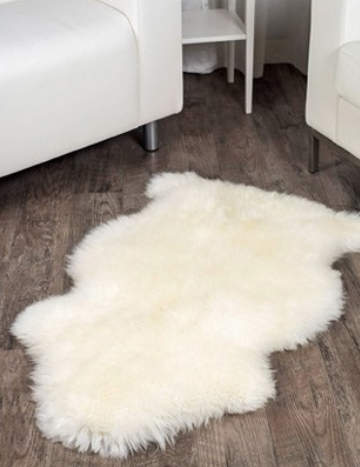 The foremost reasons for choosing natural fur for home décor are simple – the look, feel and warmth it gives are all unique to natural fur – and are the undeniable differences when compared to plastic fur décor. Looks: Natural fur is radiant, and cannot be copied by plastic fur. It is extremely difficult to imitate real fur’s quality and pigment. Feel: Natural fur is indisputably softer, whereas plastic fur feels stiffer, and will get sticky in damp weather conditions. Warmth: There is no doubt that a real fur coat will keep you warm over a plastic fur coat. And natural fur interiors will do the same. Blankets: Fur blankets are the definition of multi-purpose. They can be used to keep you warm on those cold winter nights. Whatever the use, fur throws have a sophisticated and stylish appeal on all levels. It can double-up to be thrown over a sofa, bed, stool, or chair for its sophisticated appeal, and its stylish look on all different platforms. 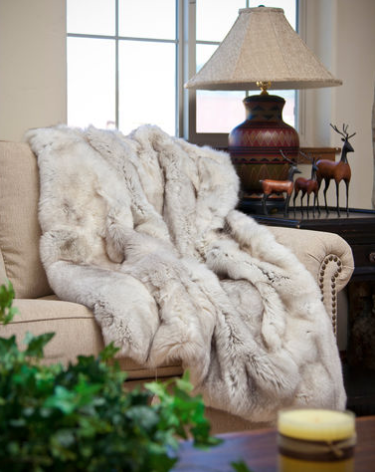 Additionally, fur throws can be used to create a soft focal point in any room. Never too dominant, a white fur blanket or throw over a dark sofa creates a distinctive allure. And it’s this juxtaposition of the subtle and simplicity of a fur throw with something bold and eye-catching which gives the home a modern yet cosy feel. This makes fur the real star of the show and adds a layer of luxury to the room that other materials simply cannot achieve. By styling your room this way, it becomes the easiest way of converting it into something glamourous and chic. Rugs: On top of a wooden floor, a gorgeous fur rug connects all rooms together to assemble the perfect living space. Giving off warmer feels, and of course being easy on the eye, rugs aren’t thought of as an important commodity in a household, but they should be. 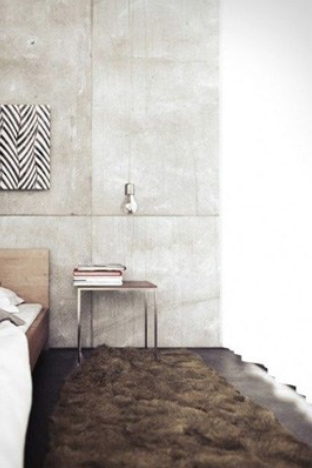 A rug can tie the bedroom to the living room, or the guest room to the bathroom. And with a fur rug you can do this in optimal style. 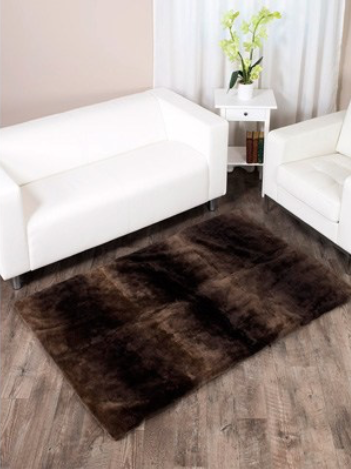 Make a style statement in your home with a fur rug, something which says – welcome to the royals! A rug, just like a blanket, is versatile and can be used in multi-form – over a stool, in front of a fire place, or perhaps somewhere to unwind (read a book, watch a film) on top of. A fresh and vibrant ambiance is created as it breaks away from the norm of having a simple rug across the room, which brings the room alive by improving its desirability within the space. Pillows: Fur pillows are essential in every household, and they are the most fitting way in incorporating the smallest amount of fur. 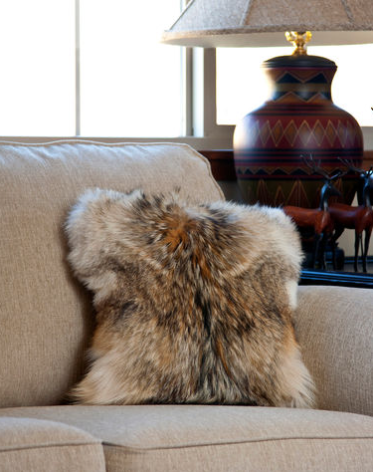 Whether it is on a sofa or bed, fur pillows add texture into the room. Smaller fur pillows, perfect for dressing table stools and foyer room chairs, are subtle and add a chic element to your home. People are returning to opulent interiors, as for a while, style and design were very modern and borderline basic. With pillows being the forefront of the bed and sofa, they immediately attract the eye and are soft to touch.  The phenomenon of touching encrouages people to become engaged with the area. Therefore, by keeping a furry pillow in the living room the space becomes more appealing, as the texture of natural fur is rich and soft, instantly making people feel comfortable and at home. Fur interior design has, and will always be what people think of when they hear ‘cozy winter nights’. Picture an image of a lit fireplace with a fur rug being the centre of attention. 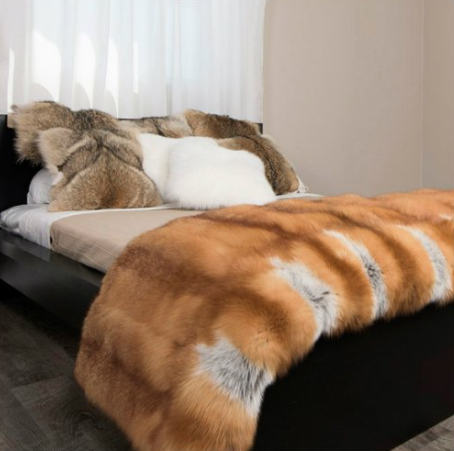 As much as fur is taking the fashion runway by storm, it is also taking interior décor to new heights, making fur the star of the show in all forms.